Recently, we’ve been trying to emphasize the importance of missions at Agape Bible Baptist Church. Each Sunday we read a missionary prayer letter and pray for them and their ministry. In May, the Iries (missionaries to Indonesia) and the Sakais (missionaries to Taiwan) visited our church and spoke of their ministries. Pray that God will give believers at Agape a burden for lost souls worldwide. Currently we have two believers who want to follow the Lord in believer’s baptism. We have already begun a baptismal study with Mrs. Maruyama and will soon begin one with Mrs. Pu as well. Through these studies we review their salvation experience and spend time encouraging them in their walk as a believer. Pray for both of these ladies as they prepare to follow the Lord in baptism and their future walk with the Lord. Please pray also for other believers in our church who need to be baptized as well. Over the years, God has blessed our tract outreach ministry. Many visitors have come to Agape through the tracts we pass out. We just received our shipment of 65,000 new tracts and have already begun passing them out. Japan is still considered an unreached people group with over 99% of Japanese lost and in need of our wonderful Savior. Please pray that God will bless and use this tract as we deliver it to the homes in our city. We thank the Lord for Mavie, who has a real burden for the children in her neighborhood. 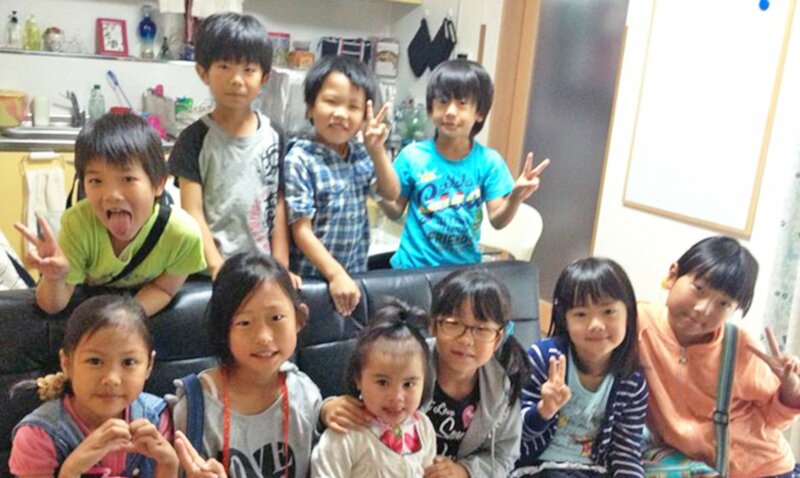 Recently, she has been used of the Lord to bring many of them to Agape’s Sunny Kid’s Club (our Sunday School). Please pray that the Lord will allow us the reach these children and their families for the Lord. Thank you for praying for us. You are a great blessing to us. May God richly bless you as your continue to serve Him there.